We all know the routine: parent gives child a bottle of bubbles to blow. Child successfully blows bubbles. 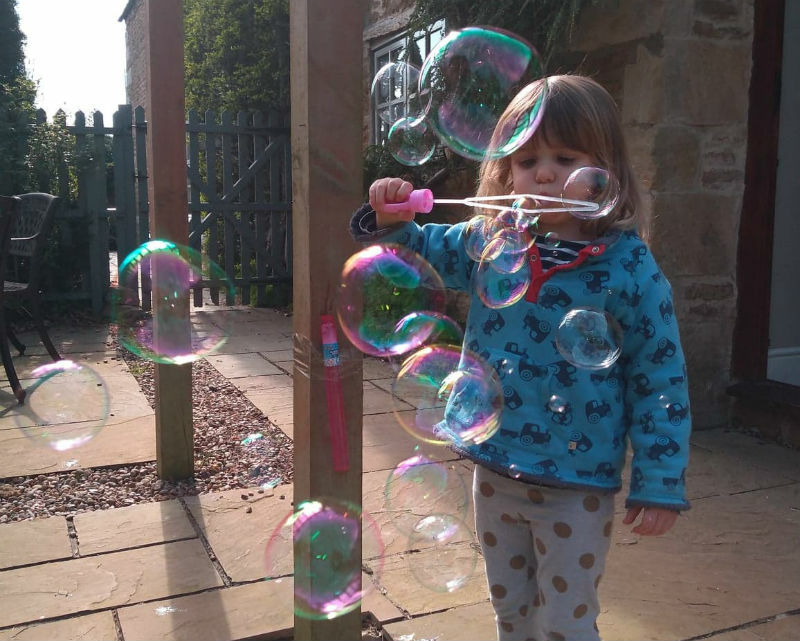 Child forgets that the hand which isn’t blowing the bubbles is holding the open bottle of bubble mixture. Bubble mixture spills all over the floor. Tears. And crucially, no more bubbles. 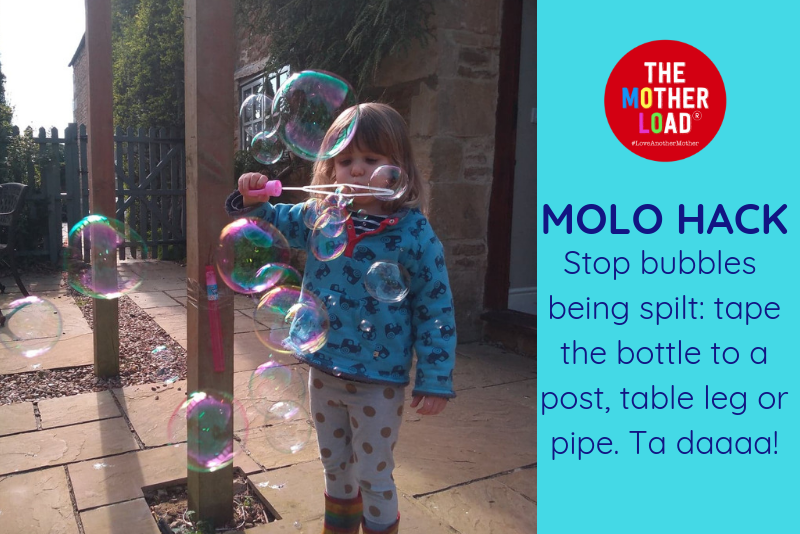 Well this brilliantly simple MOLO hack spells an end to bubble spill misery. 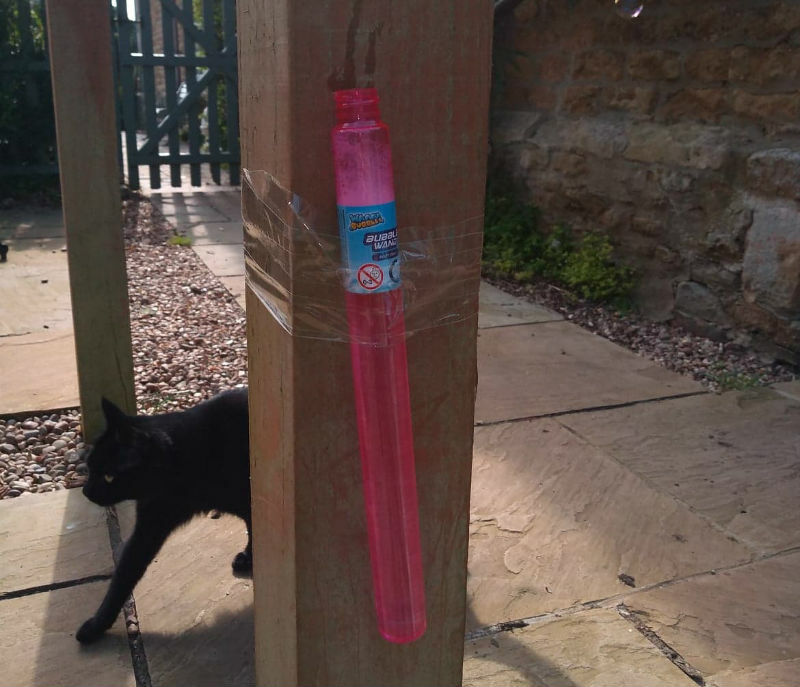 Simply grab some tape, find a post, drainpipe or table leg and tape that bottle on tightly. Your child can dip the wand and blow bubbles to their heart’s content without spilling a drop. And you won’t have to say “hold it upright!” several times, in increasingly tense tones. In short, everyone’s a winner. Check the bottle isn’t slippery with bubble mix and tape bottle to post. Cat is optional. 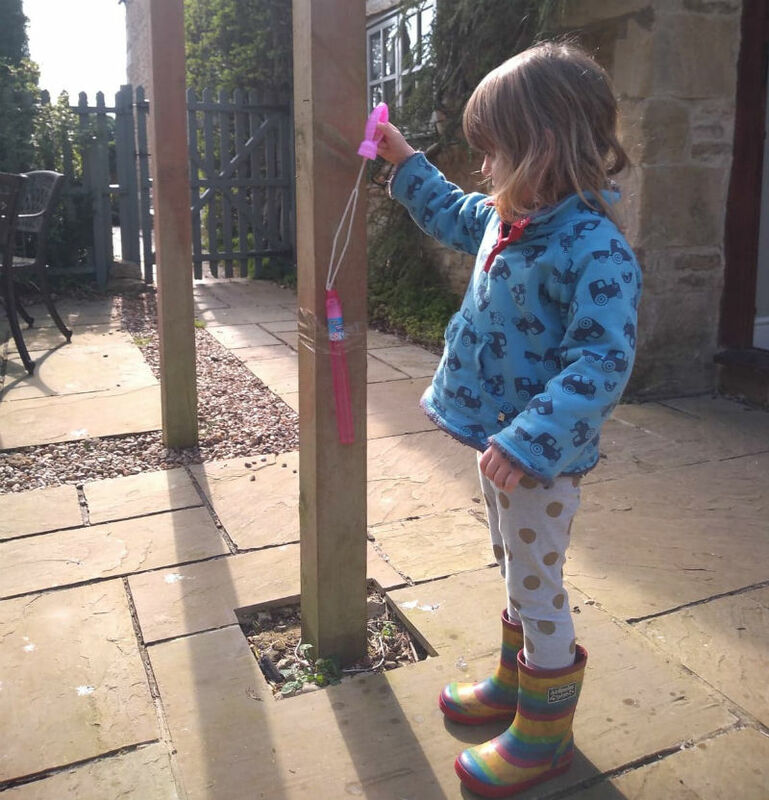 Allow child to take control of the bubble wand and dip into bubble mixture.